Lunch Ladies Book Club host Shelly Rosamilia goes through the books reviewed in 2018 and reminisces about what what she thought about each book. Then she picks the favorite book of 2018! Who will win the 2018 Golden Spatula Award? Did they like it? How many Golden Spatulas did they give it? 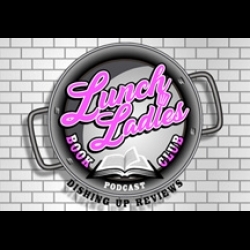 On this weeks episode, Lunch Ladies Book Club host Shelly Rosamilia updates the upcoming reading list for listeners. Did they enjoy it? How many Spatulas did it rate?